*Review of my book, not of Brexit. Frictionless delivery direct from the author or take control on Amazon. 200 may be an approximation, but professional cyclists are going to pass a very large number of church towers in 2019. CLICK HERE for the 2019 Tour de Yorkshire from 2-5 May. And if you have no idea what it’s like, then take a look below at some images of the Tour de Yorkshire and Tour de France from 2014 to 2018. Discover how bells are woven into the history of Bayeux. 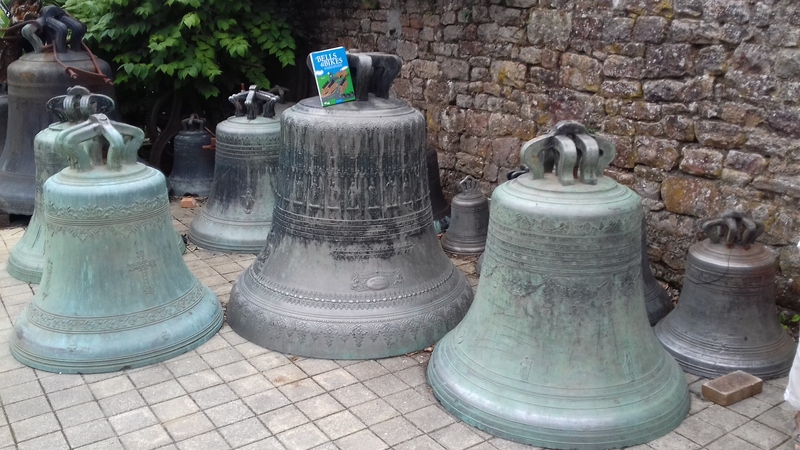 Bells and bikes en France. It doesn’t get better than this. I thoroughly recommend you visit La Fonderie de Cloches in Villedieu-les-Poeles, Normandy. Bell makers to the world and roadside for the 2016 Tour de France.